In the summer of 1990, after his first year of college, Richard Rusczyk invited two friends from the Math Olympiad Summer Program, Sandor Lehoczky and Sam Vandervelde, to join him in building a new national math contest. Sam came up with naming the contest the "Mandelbrot Competition," with the intent of using the Mandelbrot Set as a logo. Richard called Dr. Benoit Mandelbrot from a payphone at a convenience store to ask his permission to use his name. Dr. Mandelbrot gracefully agreed. Unfortunately, the first two years of the Mandelbrot Competition weren't as successful as we'd hoped. The scores on the tests were extremely low, perhaps because the tests were too hard, or perhaps because the students hadn't been exposed to as much math as we had. While walking across campus discussing the problem, Sandor suggested a solution: "We should write a book!" Eighteen months later, one book became four: two texts and two solution manuals entitled the Art of Problem Solving. On the advice of a publisher at Princeton University Press, we published the texts ourselves. Fortunately, organizations we’d been involved with as students helped us get the word out, and the books quickly found an audience. Nine years later, that audience was a critical starting point for the launch of www.artofproblemsolving.com. The Art of Problem Solving Community debuted in May 2003. In the first couple weeks, we attracted a few hundred members from among readers of the original Art of Problem Solving texts. From that initial group, word spread quickly, and we had a few thousand members within a year. In the summer of 2004, the AoPS Community went truly worldwide, as the MathLinks community of International Math Olympiad students merged into our community. Since then, we’ve grown in leaps and bounds, and have over 300,000 members who have contributed more than 6 million posts to our forums. What makes a school a great school? Great students. And we already had many of the best in the world visiting our site every day. So, we built the school we always wished we could teach at—one filled with engaging, interesting, inquisitive students who love learning and love math. Our first two classes were quite small. Just a dozen students enrolled in each of two classes in the summer of 2003. But two of them would go on to win medals five years later at the International Math Olympiad and the China Girls Math Olympiad, and several others have gone on to earn degrees at universities such as MIT, Princeton, and Harvard. We offer a lot more classes now, so we're able to offer the best teaching job in the world to many more accomplished instructors. As you surf around our site, you'll see that we've found a number of ways to deliver our material with modern technology—the online school, streaming video lessons, an adaptive learning system, a thriving virtual community, and more. But after teaching in our online school for a year and experimenting with some ideas for educational software, we decided to invest in a much older technology—books. In 2005, we published the first textbook in our Art of Problem Solving curriculum, Introduction to Counting & Probability. Shortly thereafter, we followed with two more texts, and finally moved our book storage out of Richard's garage and into the first of what would eventually become four storage units. Finally, in 2009, with yet another text on the horizon, we closed three of the four storage units and moved the books to a 1800-square-foot facility next door to our primary offices. We called it AoPS West. But we kept writing books, so we had to grab the next space over for more storage. The sign in the window proudly identified the building as AoPS Farther West. In 2014, we ran out of space in AoPS Farther West and moved to our current location 15 miles closer to the ocean. That's right... AoPS Even Farther West. There are many excellent summer programs that bring together top high school students from all over the country. But what do these students do for the rest of the year? Since 2005, many of them have been in our Worldwide Online Olympiad Training (WOOT) program, which brings together many of the best high school students from around the world to train for major national olympiads such as the USA Mathematical Olympiad and the International Math Olympiad. Sponsorship from The D. E. Shaw group, Two Sigma Investments, LLC, Jane Street Capital, Citadel and Citadel Securities, and IMC Trading allows us to invite Math Olympiad Summer Program participants to participate for free. In 2004, we were asked by the National Security Agency to take over the USA Mathematical Talent Search (USAMTS), which they had administered for 6 years after taking over the program from USAMTS founder Dr. George Berzsenyi. So, we created the Art of Problem Solving Foundation to administer the USAMTS. NSA continues to support the USAMTS. The foundation didn't stop at the USAMTS. In 2011, the Art of Problem Solving Foundation launched the Bridge to Enter Advanced Mathematics (BEAM), a summer program for students from underrepresented populations in New York City. The program was featured in the New York Times and the Atlantic Monthly. BEAM expanded to Los Angeles in 2018 with generous support from the Jack Kent Cooke Foundation. We wanted to find out. So, in 2007, we built For The Win! (FTW! ), which captures the excitement of the MATHCOUNTS Countdown Round by allowing middle school students to compete in an exciting real-time contest with students all over the world. FTW is stocked with thousands of problems from some of our favorite contests: MATHCOUNTS, the AMC 8, and MOEMS. One warning, though: our seventh graders are really, really smart! Different students learn in very different ways, so we deliver our instruction through many different media. In late 2008, we launched our most recent approach, an online adaptive learning system, Alcumus. Why did we give it such a wacky name? Because, like "Art of Problem Solving," it starts with "A," which puts it near the top of lists! A secondary reason is that in Greek mythology, Alcumus was the father of Mentor, and our Alcumus system provides students a personalized mentor, choosing questions for each student based on that student's prior work with the system. 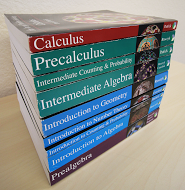 Currently, Alcumus is stocked with over 9000 problems aligned with our Prealgebra, Introduction to Algebra, Introduction to Counting & Probability, Introduction to Number Theory, and Introduction to Geometry texts, and we plan to continue expanding Alcumus into more subject areas and for students in a wider age range. As part of the development of Alcumus, we produced several dozen video lessons that complement our Introduction to Counting & Probability textbook. We had so much fun making these videos that we now make MATHCOUNTS Minis, which are featured on the MATHCOUNTS website, and we have built video collections for our Prealgebra book, our Introduction to Algebra book, and the AMC competitions. And not just because we're getting older! In 2012 we launched our new elementary school math curriculum. 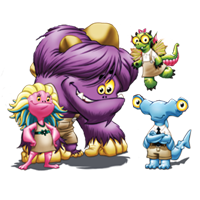 We needed help turning these little monsters into math beasts, so we had to hire some new instructors, including a retired pirate and a two-headed janitor(s). Check out their initial work at Beast Academy, where you'll find math books for grades 2-5 and an engaging online learning system that will inspire any aspiring math beasts you might have. Come back soon -- the staff of Beast Academy are busy developing more amazing materials for your aspiring math beast. In fact, they've been working so hard that we needed more space for them. So, in late 2014, our office moved again. We're now even closer to the ocean, in the Rancho Bernardo area of San Diego. Naturally, our office is now AoPS Even Farther West. It was no surprise to us to find many of our outstanding math students representing their countries at international science olympiads. We embraced that trend, and exacerbated it, by launching ChemWOOT and PhysicsWOOT for students preparing for high school olympiads in chemistry and physics. Keep an eye on this page. That list of campuses will get longer. And longer still. One of the great benefits of building AoPS has been meeting many wonderful people involved with a variety of outstanding programs for excellent math students. We've formed close relationships with many major national programs in the United States. 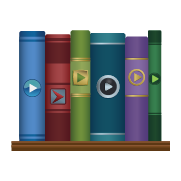 Our bookstore offers books from the Math Olympiads for Elementary and Middle Schools (MOEMS), MATHCOUNTS, and the American Mathematics Competitions (AMC). We get to put faces to usernames of AoPS Community members by giving guest lecturers or talks at a variety of summer programs and other events, such as National MATHCOUNTS, Canada/USA MathCamp, AwesomeMath, MathPath, MathZoom, the Math Prize for Girls, and the Davidson Young Scholar Summit. We've partnered with MATHCOUNTS to produce their OPLET program and the MATHCOUNTS Minis. We also sponsored the expansion of the USA Mathematical Olympiad from 250 to 500 students, which led to the introduction of the USA Junior Mathematical Olympiad. However, you'll have to explore the site to find it. We're just getting started. To keep an eye on what we're up to, join our mailing lists or become a fan of AoPS on Facebook and Instagram.